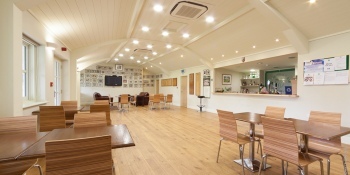 The clubhouse was rebuilt in 2010 and boasts a social room of around 104 square metres as well as a fitted kitchen. In addition there are ladies, gents and disabled toilets together with a baby-changing table. There is disabled access to the rear of the building via a ramp. The pavilion will seat around 65 people for a sit-down meal and accommodate more for buffet functions. It is an ideal venue for children's parties, exercise classes and corporate training days. The clubhouse has wifi and a television. There is plenty of parking available. The clubhouse is available for hire every day from mid September until mid April and on weekends in the summer months. The hire rates are as follows: Daytime up to 6.00pm £17.50 per hour; Evenings after 6.00pm £22.50 per hour. The latest booking is until midnight. Long-term bookings are available by negotiation. 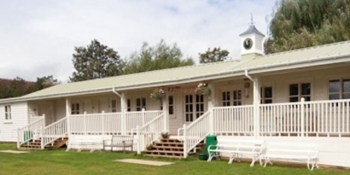 Sunday Crickets Café is now open every Sunday between 9am and 12pm at Henley Cricket Club offering great value and catering for all ages. Serving a brilliant range of freshly ground coffees and teas as well as bacon paninis and biscuits, it is perfect for mums and dads to come and have breakfast whilst watching the children play cricket. We also provide a great selection of snacks and drinks for the children including sports drinks, crisps, fruit and chocolate bars.